A fleece-knit full-zip sweatshirt featuring a drawstring hood, banded ribbed trim at cuffs and waistband for a snug fit and a relaxed silhouette. 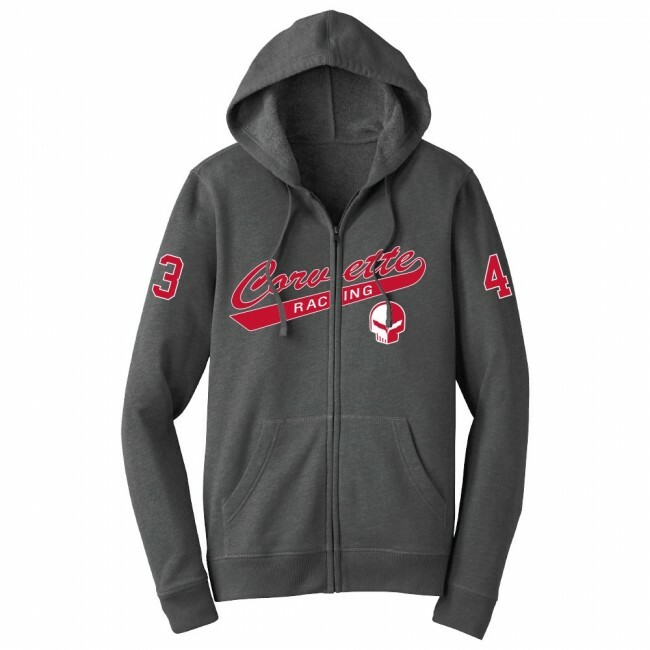 Corvette Racing signature and "Jake" appliques across the front, and cars #3 & #4 on the right and left sleeves. 52% cotton/48% polyester. Charcoal Heather. Imported.